Ok, last week I gave you fine Serra da Estrela cheese and ever-so-cute Serra da Estrela dogs, two symbolic as well as socio-cultural centre pieces of this mountain region known as ... yes, you guest it, Serra da Estrela. Although no mountain range in Canada is synonymous with cheese and dogs, this does not mean that Canada itself is not synonymous with cheese and dogs. 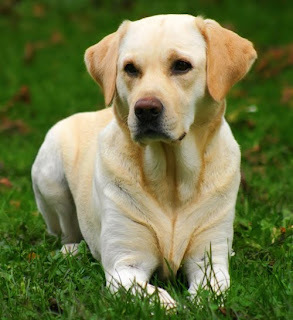 In fact, one of the most beloved breed of dog here in Portugal is Canadian - the labrador. Straight out of 19th century Newfoundland to the upper class suburbs of Lisbon, is it just me or does it seem that the labrador is the prefered dog of the 'well-off' here? 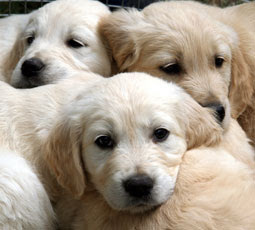 Whatever the case, the Saint John's Water Dog (its former name before they started shipping them to England where they were then named after the region they came from in Canada) is certainly capable drawing a lot of 'awe, how cute!' comments, am I right? 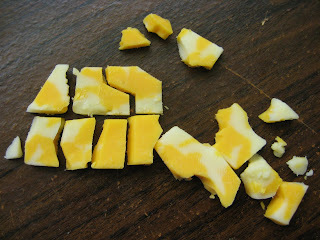 But beyond cheddar cheese, perhaps even more Canadian when it comes to cheeses, is that of marble cheddar cheese. How they were able to bring together this delightful combination of orange and white cheese curd was one of the biggest mysteries to me growing up. Beyond the mystery though, there was also the challenge - that of trying to get only orange cheddar out of one bite and then white chedder from a second bite, this as a way of trying to tell the flavour of the two apart. Growing up Portuguese in Canada, I remember it would often get placed on the table along side chouriço and tremoços. The creation of a true multicultural table. Such is Canada. Marble cheese, if we are to think about it, it's what Canada's all about - a coming together of colours, textures and tastes you just can't separate. I could go for Saskatchewan and Manitoba right now.